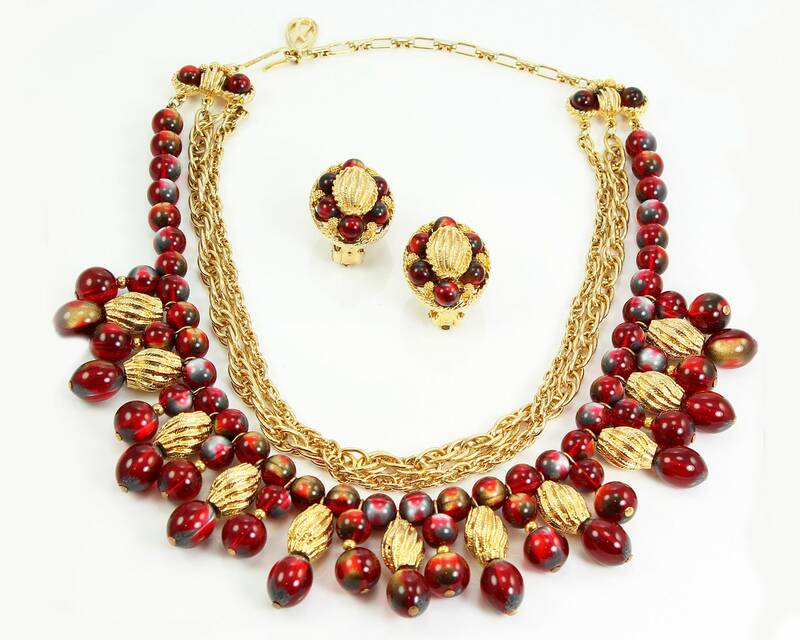 Vintage Beaded Cleopatra Collar Multi Strand Necklace and Earrings by Kramer circa 1960. 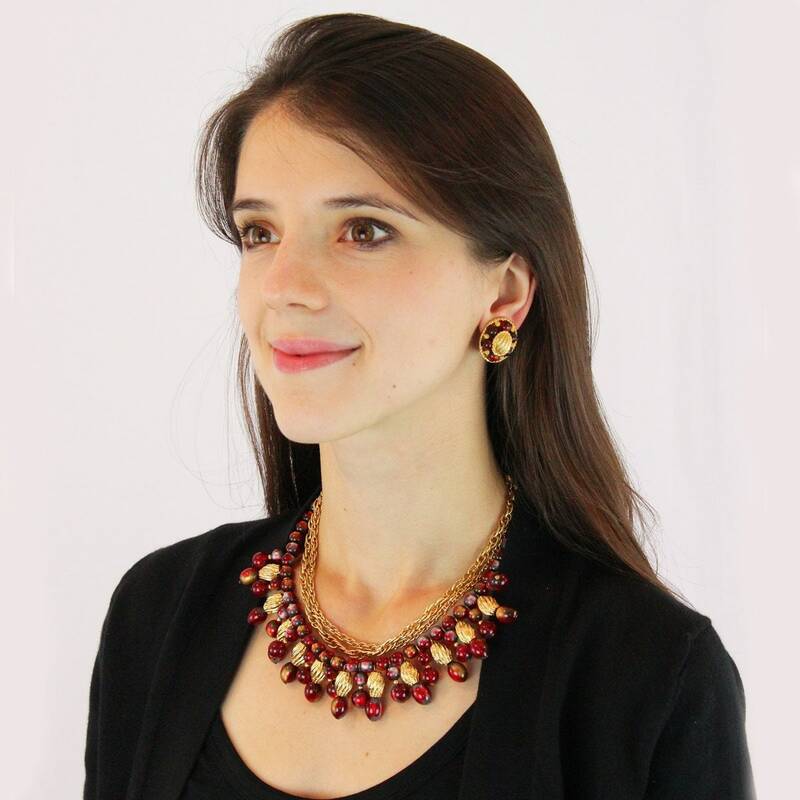 This elegant vintage necklace by Kramer features a Cleopatra collar composed of two gold tone rope chains and a lower strand decorated with fanning drops. 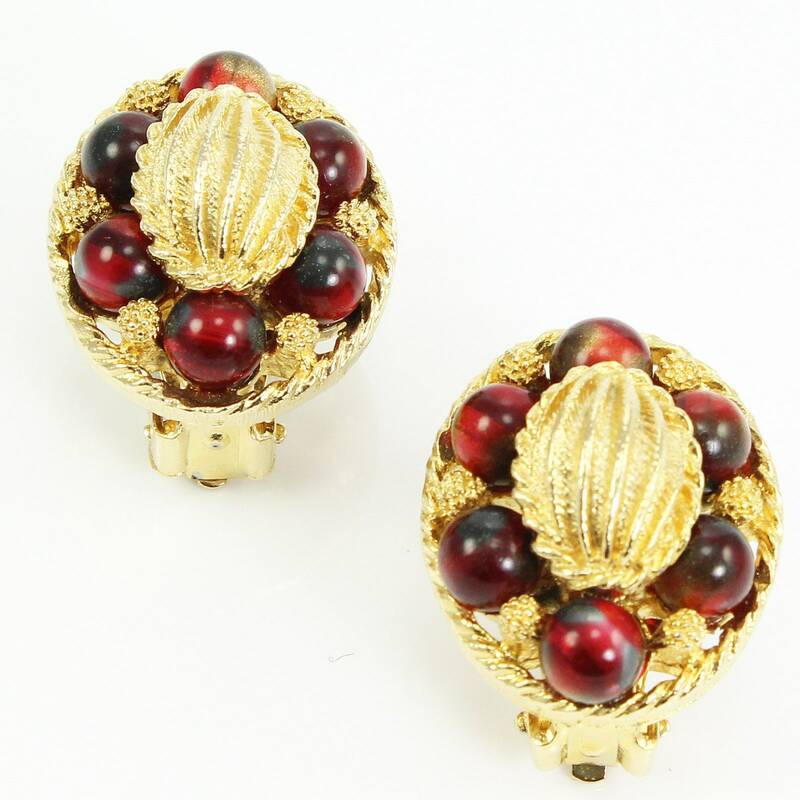 The plastic beads are a luscious shade of translucent cranberry red, with each bead enhanced with metallic gold or silver accents. 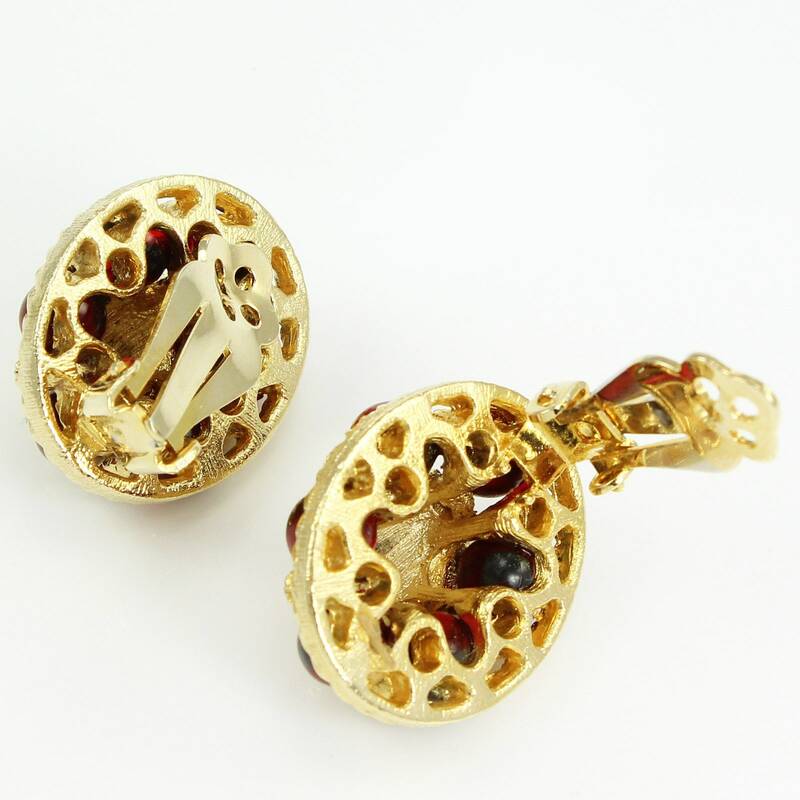 The coordinating clip earrings feature gold tone ovals embellished with petite beads and textured gold tone detailing. 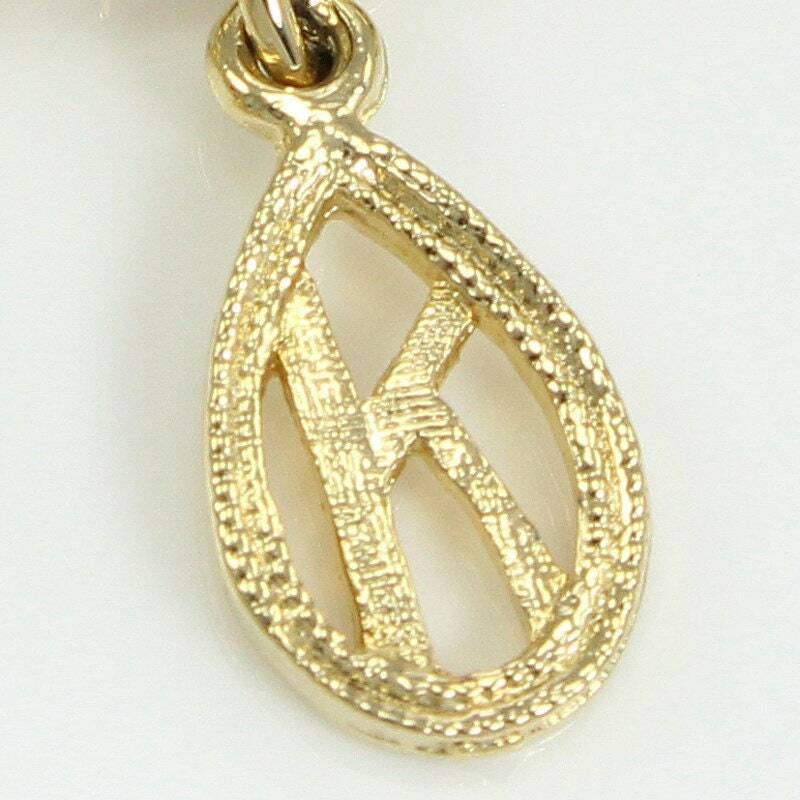 The necklace is finished with a K drop. CONDITION: Very good vintage condition, with minimal signs of surface wear.